Remember the day, May 1, 2011, nearly 10 years after the attack on the United States on 9/11/01 the United States kills the most wanted man in the world Osama Bin Ladenin through a covert operation in Abbottabad, Pakistan, 150km north of Islamabad. President Barack Obama issued the command through the Joint Special Operations Command (JSOC). This day has been coming for a long time. It can be considered a huge morale boost to all facets of American life. However, before we "celebrate" Osama's death however we should take the time to recognize the many lives that have been lost from the attacks in the US on 9/11 to the countless number of troops that have been lost in the war or terrorism. I pray his death brings closure to the many families that have been affected through the actions or commands of this terrorist. This event has inspire a new energy of nationalism and patriotism that our country so dearly needs during a time when many are financially recovering from the recession. America needed a big one and we got it, but let us also be on alert of the possible retaliation from radical muslims. We still live in troublesome times and terrorist attacks are always possible in a free society. With a mastermind now dead, democracy continues to soar, on a higher level. 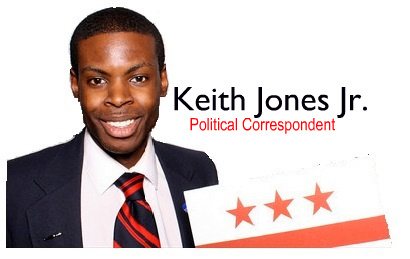 This feature was brought to you by the newly appointed Political Correspondent Keith Jones Jr.
Expect to see more features from Mr. Jones in the near future.